Martha Berry lets Mr. Cutting know they were in Europe at the same time and hopes to see him soon. 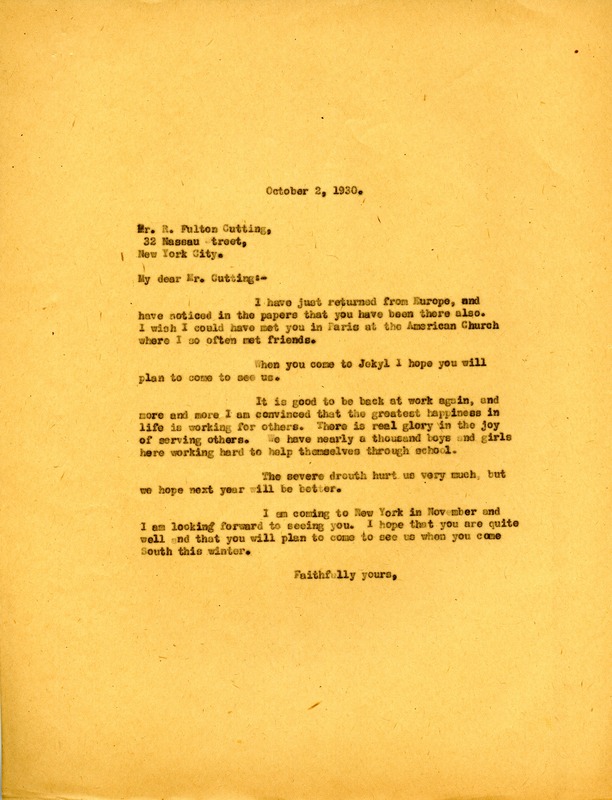 Martha Berry, “Letter from Martha Berry to Mr. Cutting.” Martha Berry Digital Archive. Eds. Schlitz, Stephanie A., Angela McCavera, et al. Mount Berry: Berry College, 2013. accessed April 18, 2019, https://mbda.berry.edu/items/show/12262.